New Hampshire investigators will be deposing Alexa in the near future, according to a recent court ruling. 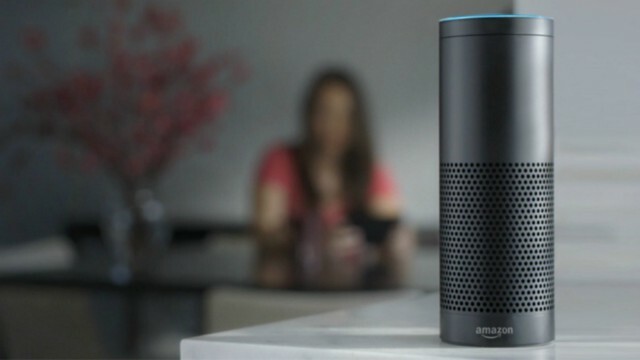 The advent of in-home digital, voice-activated assistants have created a wealth of personal recordings law enforcement may now have access to. It’s only been a couple of years since we first saw law enforcement attempt to obtain Alexa recordings from Amazon, but as Mike pointed out then, this was going to be the new normal. So the onus is on companies like Apple, Google, and Amazon to give customers more direct control of stored data and recordings. Alexa’s crime-solving ability was first tapped and brought to national attention in February 2016, when James Andrew Bates plead not guilty to drowning Arkansas man Victor Collins. Officials working on the case believed that Alexa may have overheard something that could provide critical evidence for what really took place the night Collins’ body was found. Amazon was then served a warrant requesting that the audio files be produced, but Amazon fought back. Amazon insisted the warrant be rescinded given the importance of the First Amendment and the privacy implications at stake. However, shortly thereafter the accused (Bates) himself authorized the State’s to obtain his smart device, all but forcing Amazon to comply. Nothing came of the recordings. Still, each year, our gadgets get smarter. Sales of the Amazon Echo have grown almost exponentially over the past two years, with more than 8 million customers bringing the device into their homes, other virtual assistants, such as the Google Home, are growing in popularity as well. For this reason, privacy experts anticipate that the fine line between consumers’ rights and government control will be brought into question more regularly. Technology has evolved so quickly that the rules are now unclear. As we move forward, more cases such as this will begin to set the precedent for how we’ll be governed in the future. After reviewing the motion, the court takes it up and rules on it without waiting for a response from defense counsel, as it appears the defendant would have no standing to assent or object to the State’s motion. Pretty cut-and-dry. The alleged murderer can’t object to the search of recordings made by the murder victim’s device. Amazon can probably fight the order, but in a case like this, it seems unlikely it will. But maybe it should. [T]he State’s motion to search in lieu of a search warrant is granted. Law enforcement rarely obtains a warrant to search a crime victim’s residence if that’s where the crime occurred. It’s not that they don’t need the warrant to perform this search. It’s that the accused criminal usually has no possessory interest in the crime victim’s residence and would not be able to challenge the evidence in court. When it’s a murder case, the victim is obviously in no position to challenge the search. But there’s a lot of criminal activity that doesn’t result in a dead person, so searching someone’s house without a warrant just because they were robbed or assaulted still implicates the privacy granted to them by the Fourth Amendment. The judge here is allowing a warrantless search because there’s no one to object to the search, not because it’s necessarily completely legal to perform a warrantless search in this sort of situation. This paper from the Federal Law Enforcement Training Center points out the US Supreme Court has rejected a “murder scene” warrant exception three times over the last 40 years, and yet many in law enforcement believe such an exception exists. [T]he courts have outlined a number of “established and well-delineated” exceptions to the warrant requirement of the Fourth Amendment, including, but certainly not limited to, consent searches; searches of vehicles; searches incident to arrest; and inventory searches. However, one exception to the warrant requirement which the Supreme Court has expressly and repeatedly refused to recognize is a general “murder scene” exception. Even so, in speaking with numerous Federal law enforcement officers, many of whom have a state or local law enforcement background, it appears that a misconception regarding this point continues to exist. Most of those with whom I have spoken believe that such an exception is alive and well, and that in the course of investigating a homicide, no warrant is required to “process” the crime scene. If Amazon wants to challenge it based on those grounds, it can try. But it also may not have the standing to challenge the warrantless search of this customer’s device since it would have little possessory interest in recordings created by customers. But it’s worth a shot if only to remind law enforcement (and this judge) that there’s no warrant exception for murder scenes. and click here for instructions on deleting all your Amazon Alexa recordings.